Using metamaterials, researchers have developed a system that can efficiently transfer electrical energy between two separated circuits. A novel electron microscopy technique can visualize the nanoscale structural changes that occur in battery materials during discharge. Scientists have found that the key to fast ion conduction in a solid electrolyte are tiny features that maximize ion transport pathways. 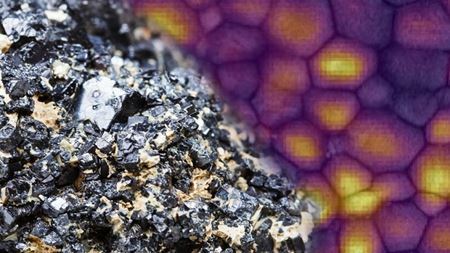 Using a layer of molybdenum disulfide less than 1nm thick, researchers have designed a system able to absorb more than 35% of incident light.